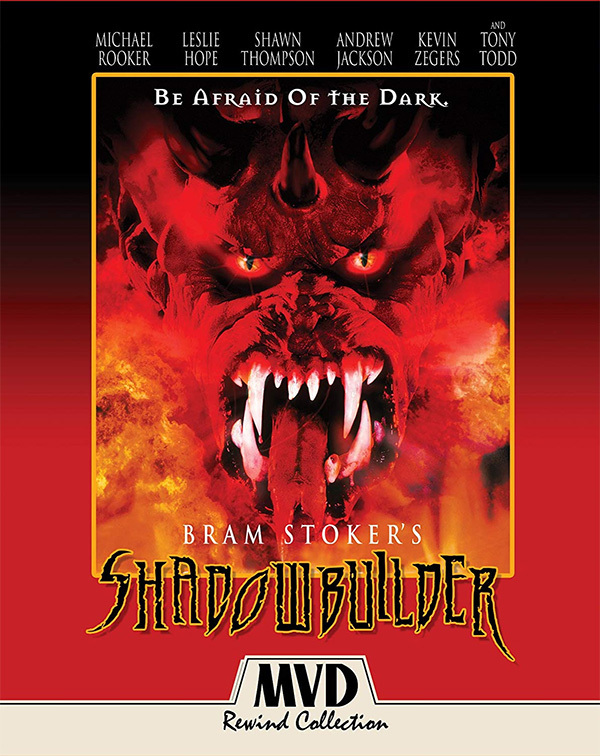 Arriving on Special Edition Blu-ray this week is 1998’s “Shadowbuilder”, which was the directorial debut from visual effects artist, Jamie Dixon and based on the story “The Shadow Builder” by Bram Stoker. Prior to this release, I had never seen the film before. I am not sure how it got passed me since it is a Stoker story and stars Michael Rooker. Two things that would have made me give it a look. However, for some unknown reason it took MVD give it a HD release for me to pop it in. The story centers on a young boy named Chris (Kevin Zegers) who lost his parents when he was younger and is now living with his Aunt Jenny (Leslie Hope). A group of evil priests have released a demon known as the Shadowbuilder (Andrew Jackson) that has plans for Chris. The only thing standing in the way of evil is demon-hunting-Father Vassey (Michael Rooker) who is armed with the word of god and a couple of handguns with laser pointers. “Shadowbuilder” isn’t that bad of a movie, although Tony Todd plays the town crazy with an annoying laugh. There is also some truly awful CGI. Yes, I know it’s a 90’s flick, but the computer effects look awful even for 1998. Fans of the film will probably dig the new bonus content included with this release. There are interviews with Dixon, Todd, Jackson and Zegers. The transfer and audio are also quite good, although it does make the bad CGI even that more noticeable.